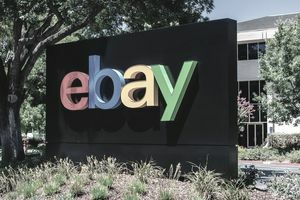 The front page or feed at ​eBay.com. Lists of the categories in which sale items can be found. Search or browse results that list items for sale within a category or based on your keyword searches. Individual item listings giving price, description, and (usually) a photo of the item. Selling tools used to list your own items for sale. My eBay, the page used to manage your own account, purchases, and items for sale. eBay Help, where you'll find instructions, rules, policies, and answers to common questions. eBay Community, where you can interact with other eBay users. Though you should understand the basics of eBay's front page and of your own "My eBay" page, you don't need to master every area of the website to use eBay effectively. For example, if you only wish to buy on eBay and have no intention to sell, you need only learn about those portions of the site used to buy items. Similarly, many members have used eBay successfully for years without ever having accessed either the Help or Community portions of the site. You can use an advanced search query to narrow down your search to specific items, sellers, locations, price ranges, and more. This includes completed listings, eBay Stores, or other members and once you've found a search you like, you can save it to use again as long as you are logged in. Categories buttons across the top of the page. A space where you can create your own collection or follow the collections of other members (you must be signed in). Search for items you need or like. On the item page, click the Add to collection link. You can name the collection, or add the item to a collection you've already started. A star icon above the top of an item means that you can click the star to add the item to a collection. Click the + Follow button on the collection page. In the eBay home page, you'll see "Collections you follow" on the left side of the page. Click the Follow button when in the member's profile (also known as saving a seller). In eBay Today, you can explore a new collection every day and see what is trending. The feed allows you to follow and discover the things you like easily. Still, if you plan on or find yourself doing a lot of eBaying as you become more familiar with what eBay has to offer, explore Searching Effectively, Buying Effectively, and Selling Effectively for tips and tricks that will help you to enjoy eBay to its fullest.